Riverside cobblestone streets. 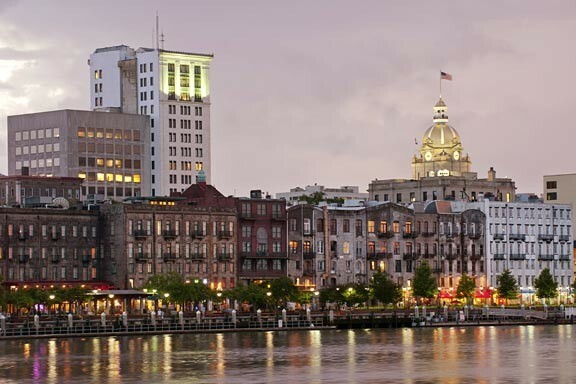 Southern hospitality and history mingling with charming storefronts and delectable eateries: Savannah’s River Street. The busy, nine-block, waterfront stretch along the Savannah River, known as Savannah’s River Street, was once a bustling, gritty wharf area that slowly grew into a district of prosperous cotton warehouses as trade flourished. By the end of the Civil War, however, the area fell into disrepair. It remained run down until the mid-70’s, when the Riverfront Urban Renewal Project was begun. Today, those cotton warehouses of old comprise one of the most exciting and popular spots in town with antique shops, art galleries, eye-catching boutiques, craft brew pubs, popular restaurants, and more. Savannah’s River Street is bustling once again, only now with the hubbub of foot traffic, live music, and Southern hospitality. Things get even more lively once the sun sets. But it’s not all just shopping and eating, either. Savannah’s River Street is also a great place to watch ships from around the world sail into one of the busiest American ports – or take a riverboat cruise and view Savannah and River Street from the water! It is important to remember that Savannah is perched on a bluff above the Savannah River – and thus River Street, too. If you decide to visit, be sure to wear some comfortable shoes as you will likely end up navigating several sets of of steep stairs and cobblestone ramps to reach River Street proper. Savannah’s River Street is definitely worth the effort, though. Especially the for the handmade, low-country crafts and original artwork. After all, you can visit big-name shops almost anywhere but real, locally made, Savannah River Street goods, food and drink? That can only be found here. That’s the best thing about visiting somewhere new and different: not seeing and doing all the same old, familiar things but experiencing something new, something genuine, like buying a locally made product or visiting a locally operated business. 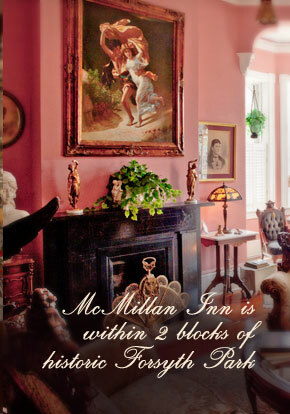 McMillan Inn is just that: a locally owned and operated Savannah bed and breakfast centrally located in the Historic District. 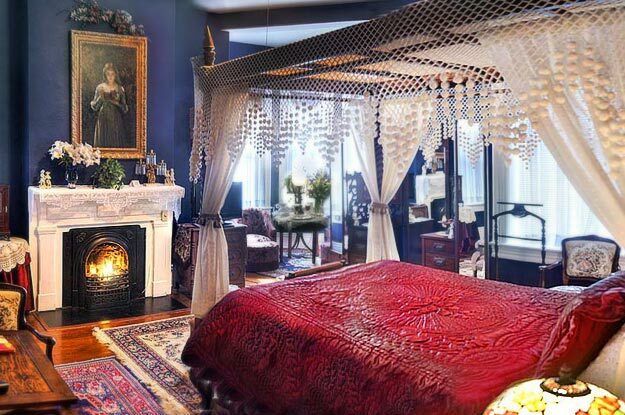 Stay with us to get the real flavor of Savannah.